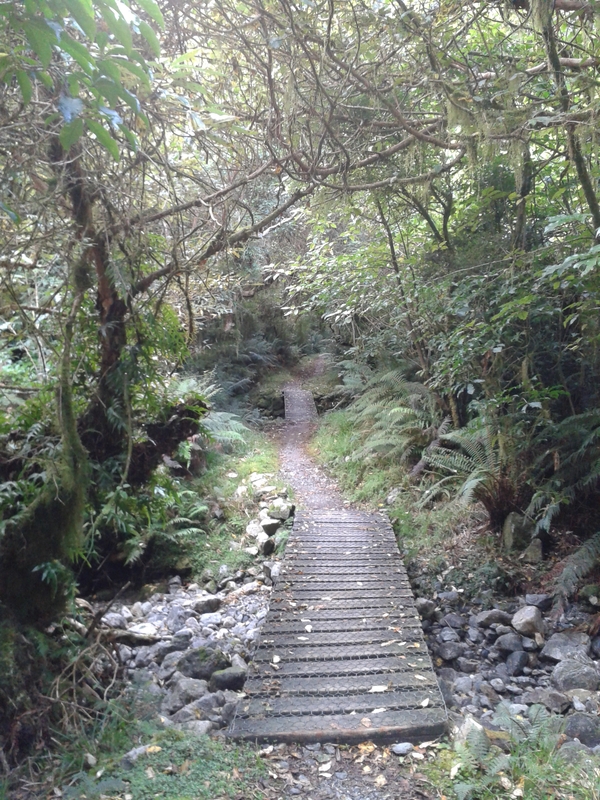 I walked the world-famous Milford Track last week. It was one of the best adventures I have ever had. Maybe it was because the last year has been one of tremendous personal upheaval, and this trip felt like a significant “marker” on a difficult emotional journey. You’ll be pleased (I hope) to know that every day I took notes – the things I saw, the people I talked to, the feelings and smells and sights and conversations. I’m going to write about the trip in three or four instalments. (I haven’t decided which yet.) Here’s the first. No-one was talking yet; there was no hum of friendly chat. Couples sat silently, sharing the occasional low exchange. A group of Australian women tried to pinpoint where we were on a large wall map. Some people, like me, were on their own. One man, the spitting image of the French movie star Vincent Cassel, sat eating chicken and courgette slices from a small plastic bag. He looked seasoned, and bien dans sa peau. I stared. Later, when we had become friends, he would tell me he thought I was trying to flirt with him. 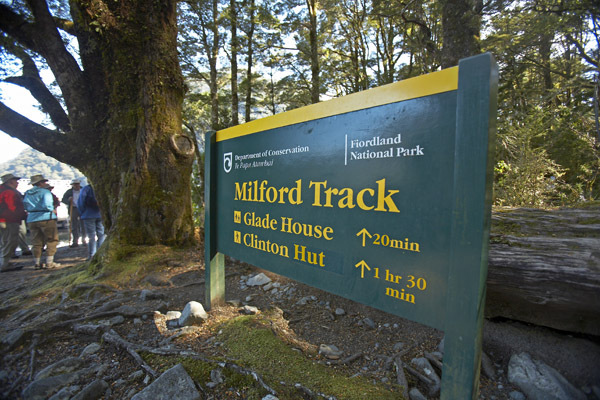 We disembarked, and there was the sign: Milford Track. Others stopped to take pictures. I started to walk. Immediately, I was hooked. This was Lord of the Rings country. Lush and green, with mist embracing the mountains. Not cold. Gorgeous singing poured down from the branches above. An invisible soloist. “Bellbird,” smiled a guide attached to a group of day walkers. It seemed an auspicious start. Before me lay a wide, well-used path, lined with lichen-draped beech forest. Light rain only made the scene more beautiful. I realised suddenly that I was looking at the screen saver I had downloaded some time before leaving on my trip – a picture of rich, enclosing forest and a path winding out of sight, its destination unknown. “That,” I had sighed as it had settled onto my screen, “is where I want to be right now.” The vegetation before me now was different, but the aspect and the feeling it evoked were almost identical. I almost laughed out loud. The rain, already gentle, was relenting further. I rounded a corner and emerged into a large clearing at the exact moment that the sun came out. This time, I did laugh out loud at the impossible beauty in front of me and the happiness I felt at being right smack bang in the middle of it. Immense mountains, striped here and there by waterfalls and with puffs and streaks of mist hanging like halos around them. The Clinton River, the water so clear it was almost invisible, the swing bridge inviting us to cross over, all bathed in gentle strains of light. Glade House sat in the middle of the clearing. The guided walkers would stay there for their first night. Later, we would nickname them the Fikers (fake hikers). They would have a hot shower, a meal cooked for them, wine and a proper bed. They would walk with a small day pack as their bags were helicoptered to their next night’s accommodation. Two guides would walk with them. The independent walkers, me included, strode past with curiosity, but no envy. And in fact, for me at least, the envy never set in. We would sleep in very basic huts, in sleeping bags we carried on our backs, along with all our clothes, food and other items necessary for four days in the bush. We wouldn’t shower, and we would emerge smelly, sore and exhausted. But I still think we had the better deal. As I crossed the swing bridge, three honking ducks coasted in for a wet landing below me, cutting through the glass surface of the water with their tipped wings. Then we were following the river for just over an hour, occasionally venturing down intriguing side paths to the water’s edge. At one point I wondered why the river had dried up, when I realised it was just so clear I couldn’t see where the air stopped and the water began. I heard the call of the bellbird again, the clear shards of song superbly matching the invisible ice of the river below. There it was: a little khaki bird, flitting between branches, following me, singing to me. I have always loved birds, small birds in particular. Perhaps it’s the freedom they represent. I love their fragility, their tiny, frantic hearts, their delicate feathers. On the Milford Track, it was their bravery that I loved the most; their willingness to trust. A tiny robin waited on a log, then hopped onto the track. I stood as still as I could, but periodically was forced to flap and slap at my limbs: an army of sandflies had deployed. The robin jumped onto my boot and delicately plucked a sandfly off my lace. Just as pigeons wait at my local park for children with bags of bread, the robins wait for walkers. They know sandflies will be on our boots, making their militant way up to exposed, delicious ankles. They wait, and they snack with ease. 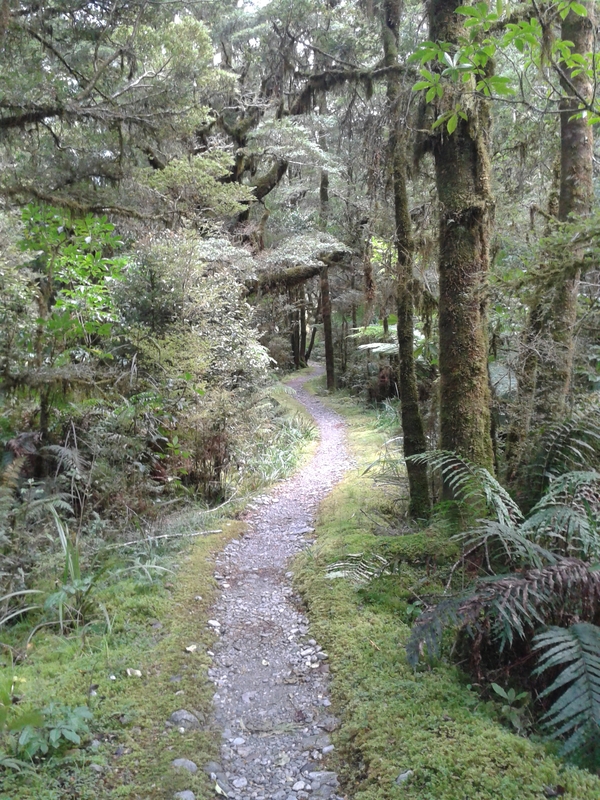 Over the next few days, as I glimpsed the Milford Track birds through the branches, heard their song, caught flashes of green and brown and black as they dashed across the track in front and behind me, held my breath as they hopped closer and closer to my boots, little heads cocked, I felt very protective of them. A path promising a Wetland Walk was enticing, but it was here that the sandflies really made their presence known. A few of us gathered to take off raincoats and layers, the sun having burned away much of the cloud, but we couldn’t stay long; the sandflies were too tenacious. My left foot was starting to concern me. (Not the movie. Literally, my left foot.) A bunion just below the big toe was rubbing against my (borrowed) boot, and it was getting progressively more painful. I had noticed it while I was in training (AKA a quick walk around the park with my half-filled pack on my back), and I had stuffed my socks with hikers’ wool in an effort to cushion it. It was very sore now despite the wool, and I had only been walking 90 minutes. This, it seemed, would be my Achilles’ heel on the track. I hoped it wouldn’t become debilitating. If it did, I would just have to walk through the pain; I had no choice. Cheryl Strayed lost six toenails and walked the Pacific Crest Trail in a world of blistered pain for weeks, some of it in taped-together sandals when she lost her boots over a cliff, I thought to myself. I can deal with a bunion. Bunion. Don’t you hate that word? It makes me feel old just writing it. But let’s put my foot issues aside for a while (be assured they will make a comeback) and focus on a far more interesting topic: people. Already I had met some interesting ones. The young couple from Chicago, the woman a big fan of Lord of the Rings, both enchanted by the scenery and wondering with a little trepidation if they had done enough preparation (i.e. none). Four middle-aged Australian sisters, all together for a sibling trek. They had left two other sisters behind. They had names like Catherine and Theresa and Mary and one of them carried a wok (!) on her back. In a day or two we would nickname them The Nuns. The lovely couple from Quebec, on a ten-month odyssey around New Zealand. She had just graduated with an MA in creative writing. The tall American man I had coincidentally sat across from on the bus to Te Anau the previous day. I liked him immediately; we seemed to share a similar sense of humour. You remember Vincent Cassel’s doppelgänger? The first time he opened his mouth I felt a thrill (wait, it’s not what you think) of recognition: he was from Northern Ireland, now living in Bristol. Like me, he was a PK (Preacher’s Kid). “That explains a lot,” quipped the tall American, after we had all become friends. “PKs are always the worst.” The elegant and quintessentially French couple from Paris who took the two bunks opposite me that first night. We chatted in French and I learned they were doing the Routeburn and Kepler tracks straight after the Milford. When I saw them striding out on the trail the next day, lithe and determined, gliding up steep hills hardly breaking a sweat, I understood why one epic walk was not enough for them. She had the most marvellous dimples. The two Kiwi couples who had carried in enough wine to sink a ship, along with steaks and complicated salads for their first dinner. Two were doctors, one a physiotherapist, the other (vaguely incongruously) a farmer. The Israelis, self-contained (for now; more from them later) and striking, the man with dreadlocks down to his bum. 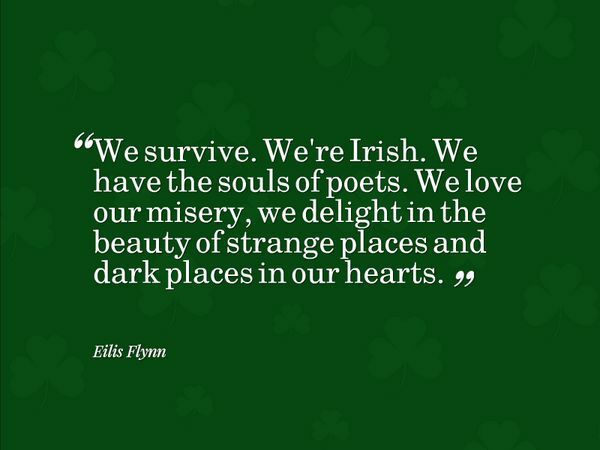 So many nationalities, ages, histories, motivations, hopes and goals. I felt happy to be walking alone, but happy also to be surrounded by such interesting fellow hikers. I could dip in and out of company as desired. I could enter discussions, or say nothing at all. It felt freeing, and controllable. When we arrived at the first hut there were tentative, polite shufflings and dodgings as we claimed beds, unpacked food, signed in at the dining room. At first, we sat and ate in silence; the silence of strangers who know they will be together in strange but wonderful circumstances for the next three nights. But it didn’t take long. I asked a question, someone told a joke. We searched for matches. We slapped at ubiquitous sandflies. We laughed when the two Spaniards strode into camp late, demanding to know where the showers were. (They obviously hadn’t visited the Department of Conservation website.) By the time dinner was over, the room was alive with conversation and more laughter. Darkness fell. A bellbird warbled as I went to the bathroom to splash water on my face and do my teeth. I sensed Fiordland towering above me. We were in the middle of nowhere, but a part of the majestic everything. It had been a good day. Loved every word of this. Thank you for sharing your travels. Walked that track a long time ago. Time to do it again perhaps. Thanks Amanda. It was such a wonderful trip. I hope you enjoy the next instalments. Wow, this sounds like such a great adventure! Thanks for sharing! A great read! Looking forward to the rest of the journey!